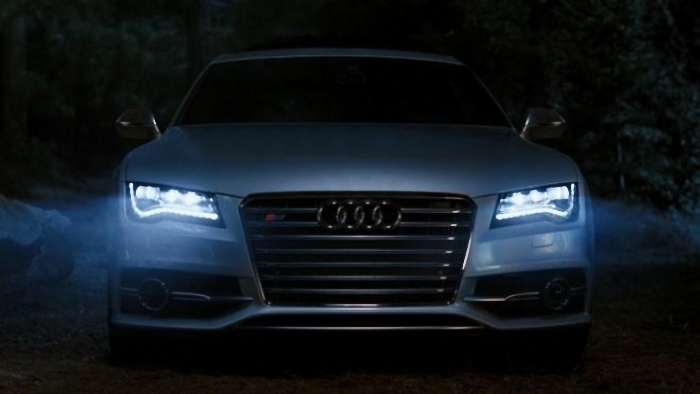 Audi has made its latest advertisement that demonstrates the distinct LED headlight design used on its automobiles. The advertisement will air during the first quarter of the Super Bowl football game. The video shows an outdoor party of teen vampires and a fellow vampire who attempts to join the party as he drives up in the new Audi S7, only to have the LED headlights, which imitate daylight, zap the party-goers into thin air. "In the spot, Audi LED lights – which at 5500 Kelvin produce the closest recreation of daylight available – put an end to the vampire party, and perhaps, to the greater vampire trend in pop culture," said Scott Keogh, chief marketing officer of Audi of America. Keogh added, "Given the power of the Super Bowl platform, we wanted to create an entertaining spot that clearly focused on our LED headlights - one of our key product attributes - while also sparking conversation about whether or not its time for us to move on from the vampire trend everywhre into something new and even more exciting."